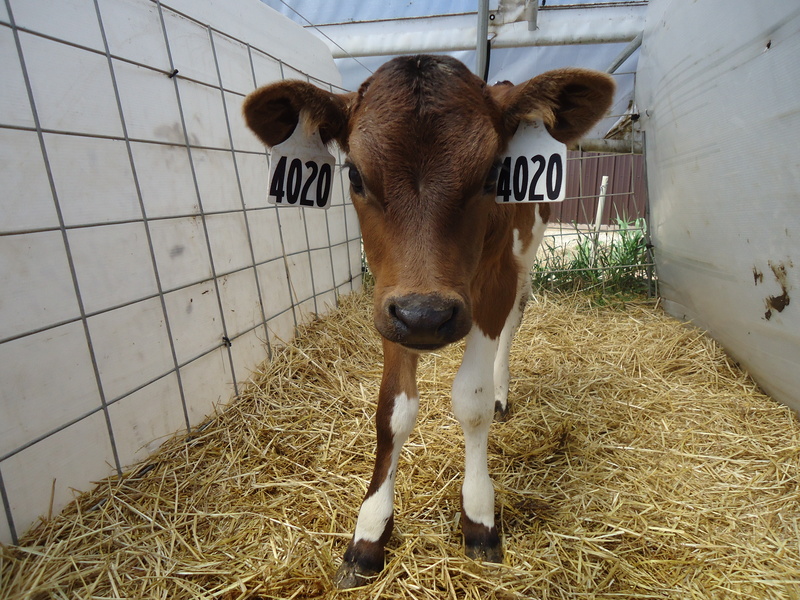 My name is Valerie Klessig, and I am a member of the sixth generation born on Saxon Homestead Farm. I just finished my first year as a bilingual kindergarten teacher in Milwaukee. 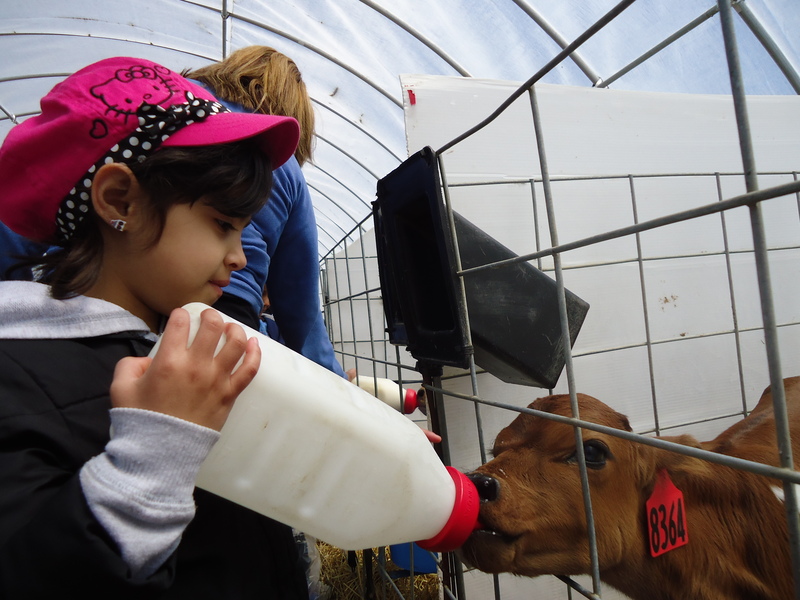 In late May, my family helped make it possible for my school’s 90 kindergarteners to take a field trip to our family dairy farm. And, it was an incredibly meaningful experience for the students, educators and families that came. 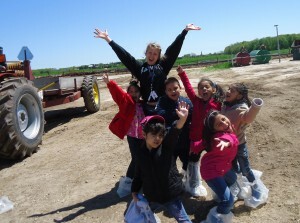 It gave them the opportunity to learn something about agriculture and from where our food comes. I now have 90 new friends! Two big yellow school buses pulled into our farm by 10:30 a.m. Friday, May 24. We started the experience in our 160-year-old renovated barn, where we introduced the farm family and employees. I gave an overview of the day’s events and instructions in Spanish and English. Then, we had the entire group put on big plastic boots to try to avoid getting too muddy. My students really got a kick out of those big boots! We then went to the white hoop barns where 350 calves awaited our arrival. Each chaperone received a bottle of milk, and students took turns feeding the calf of their choice. 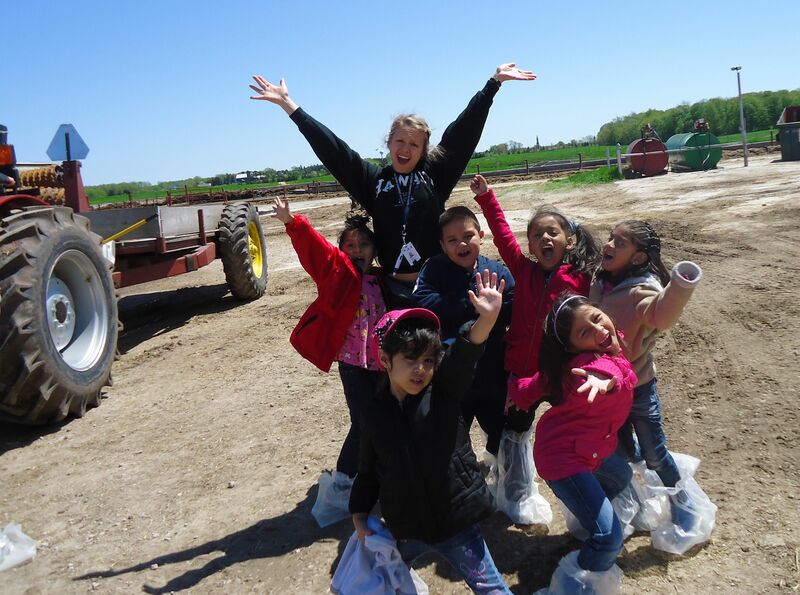 The smiles on my students’ faces were as big as our farm pastures! The parents and teachers were equally as delighted. We couldn’t decide who was cuter: the five recently born lambs or the calves! After learning how to feed a calf, students got to feel the pasture grasses between their fingers. They couldn’t believe cows actually ate that stuff! We then passed the milking parlor, the barn, and the granary on our way to see the tractors. Standing beside one of those tractor tires seemed to be every six-year-old’s dream! Wow! He finished that bottle so quickly! The time flew by, and before we knew it lunchtime had arrived. We went back to the barn and each class took a turn to use the bathroom and wash hands. Once seated at the wooden tables and benches, the students dove into their brown paper lunch bags and talked enthusiastically about the day’s events. Laughter bounced off every rafter. The barn was abuzz with chatter about the cutest calf, how big those tractors were, and all the strange smells of the farm, among other topics. My 92-year-old grandmother stopped in for a visit, and the students excitedly lined up to meet her and share a hug. We finished our day with ice cream and cheese, and all the students made an art project. What a perfect day! We’re about to go to first grade! Yeah! Thank you very much for the ice cream and the fun, also for letting us draw and the fun. My favorite part was when we fed the calves, and thank you very much for teaching us many fun things. **Please note: Saxon Homestead Farm has obtained parental permission to post the photographs of these students. These photographs are only to be used on this website. This entry was posted in Events and tagged agriculture, dairy, education, farm, school. Bookmark the permalink.